Effectively advertise on top of our Slatwall H Gondola display. Sturdy black metal frame sign holder. 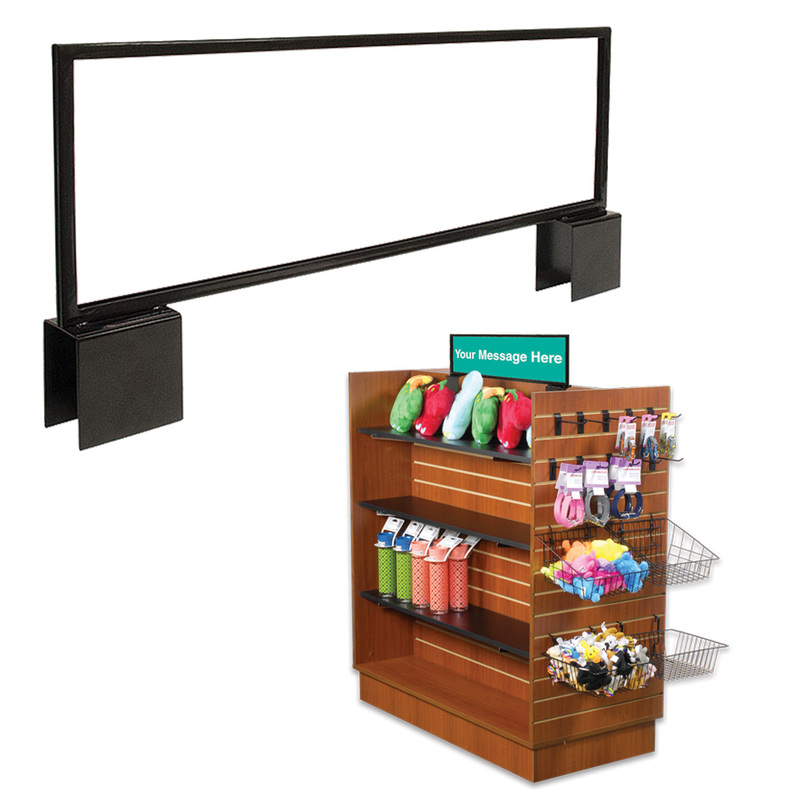 Slatwall H Gondola display sold separately, search item 3434. Add a custom sign! Send us your promotional details and we will create a custom sign for you. Custom sign sold separately, search item 4645.